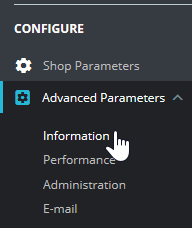 Although it doesn't show as much information as a phpinfo page, your PrestaShop 1.7 dashboard can view important settings applied to the site. Below we cover how to view PHP settings in PrestaShop 1.7. On the left, press Advanced Parameters and Information. 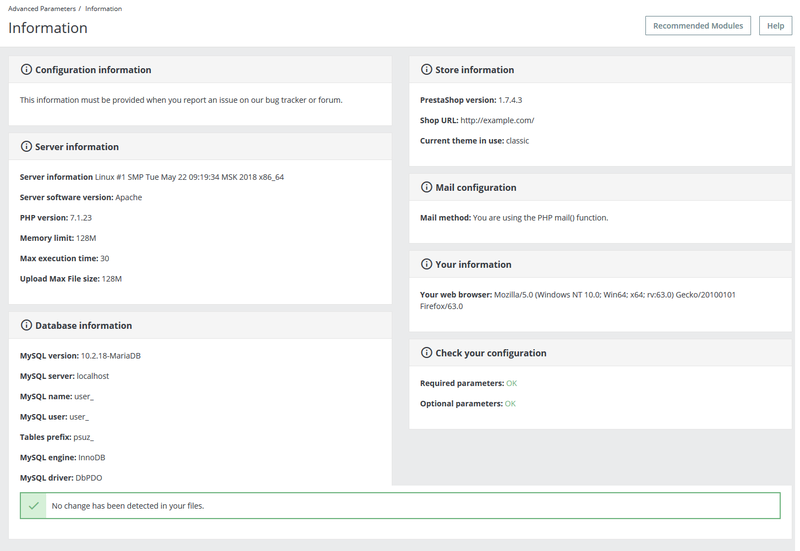 Here you can view configuration information related to your store, server, and database. You can edit much of these settings within your PHP.ini file, PHP Configuration tool, and PrestaShop dashboard. For example, you can change your timezone in the dashboard instead of the PHP.ini file. You can manage your MySQL database in cPanel. You can learn more about improving your website from our PrestaShop education center.